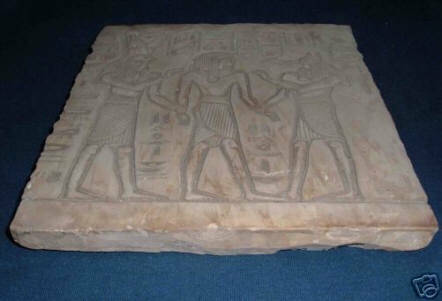 Our company have been collecting and taking care of our collection since 1920 in Upper Egypt. We have contacts with other dealers and collectors in various parts of the world, those dealers have been working in this business as well since a very long time ago, we do our best to provide the most accurate dating and time frames on our pieces. We don't guarantee this items exact age as we don't have Carbon Dating, nor chemical analysis Abilities therefore we can not verify the exact age, time frame of our items are suggestive. Since we are a collector ourselves we take pleasure in share the items we have. There are probably things that we didn't know to include in the item description that could be helpful to you in making an accurate evaluation of items significance. Source: Upper Egypt ( Luxor / Aswan ). 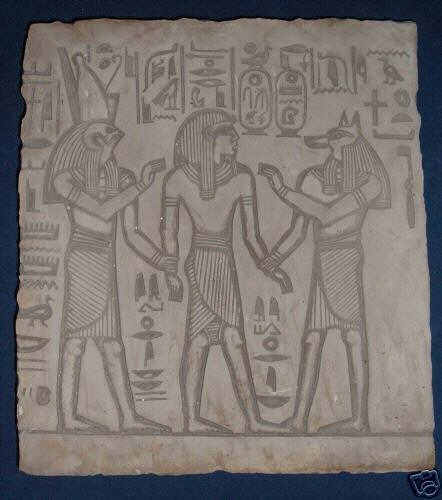 Period : 20th dynasty. Dating: 1184  1153 B.C. Material: Hard stone. Measurements: 20.5 x 18.5 Cm / 1 inch = 2.54 cm. Estimation Value: $35000 - $37000.